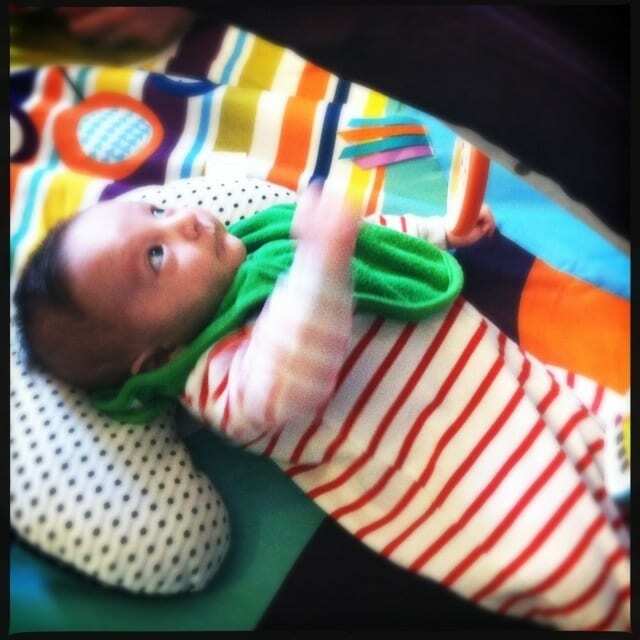 This picture is priceless because it was taken at the exact moment that Caleb found the mirror on the Mamas And Papas MAGIC Stargaze Playmat Activity Gym. He was sort of looking around and then I GUESS he locked eyes with himself and just couldn’t process it. I was right next to him and was able to capture it. Hilarious! 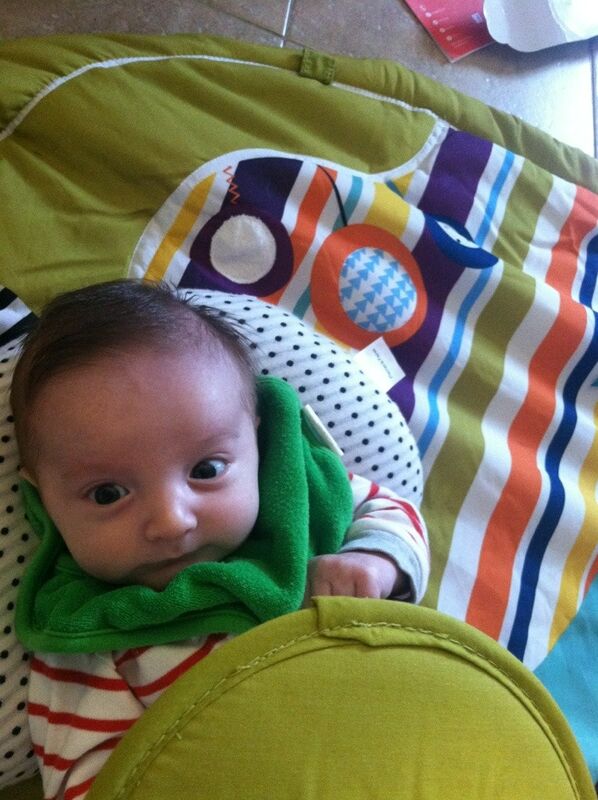 Caleb loves hanging out with his mama. But mama sometimes needs a break! And Caleb needs some activity time as well. A playmat is a MUST for newborns. It gives parents a few minutes to get themselves together and it allows baby to explore on their own. The Mamas And Papas MAGIC Stargaze Playmat Activity Gym have a variety of fun features. 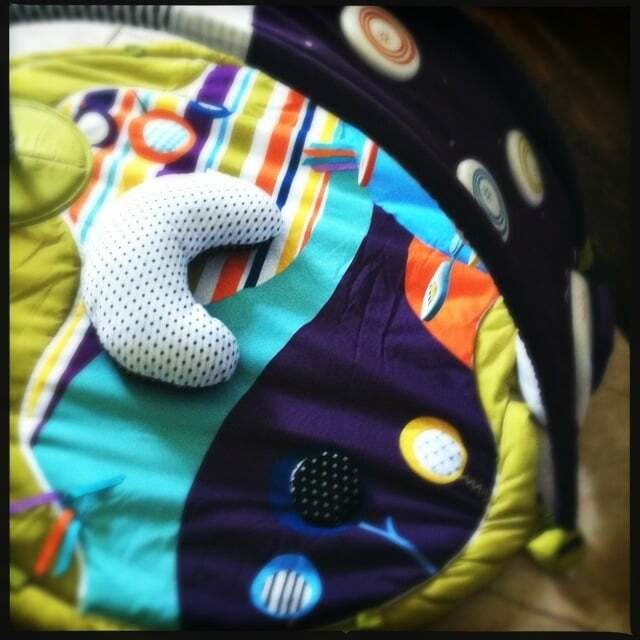 Besides all the hanging / attached toys, there is an activated musical piece that triggers once your child starts to kick. 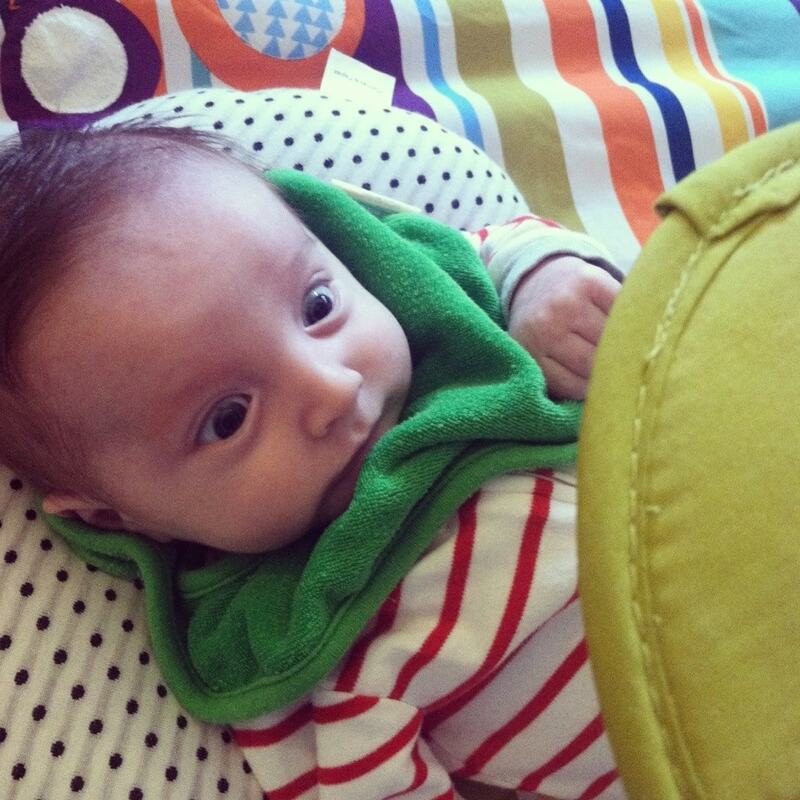 Kicking is an automatic response in newborns. So, it’s really fun to watch! Why is this playmat different than all the rest? Because it comes with a Magic Card Pack. Each pack (comes with 5) holds 20 minutes of content that will take your baby on a journey. Battery powered – you simply put the cartridge in watch your child enjoy the show. Additional card packs available Musical Fun, Jingly Jungle, Play-sleep-relax and Mini Explorers. Mini explorers is available in English, French and Spanish. 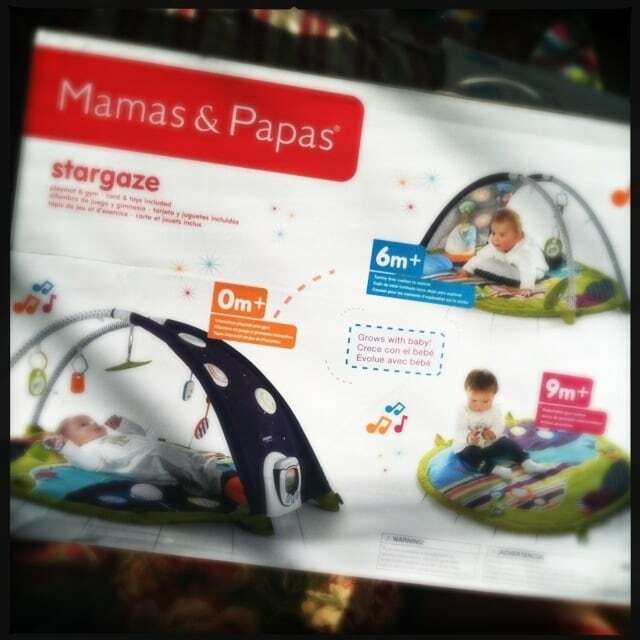 The Mamas And Papas MAGIC Stargaze Playmat Activity Gym grows with baby. As you can see from the box below, baby can also have tummy time on the playmat and eventually sit up and play with their own toys on the space. Features interactive touch pad and pull toys that trigger lights and sound to stimulate baby’s development. Four entertainment settings provide high quality sounds and soft light bursts underneath the gym arch to encourage sensory development. Includes Musical Fun magic card pack, detachable hanging teether toys, arch tummy time cushion and movable mirror. MP3 compatible so you can play your own music rhymes and stories and well provide the light show. 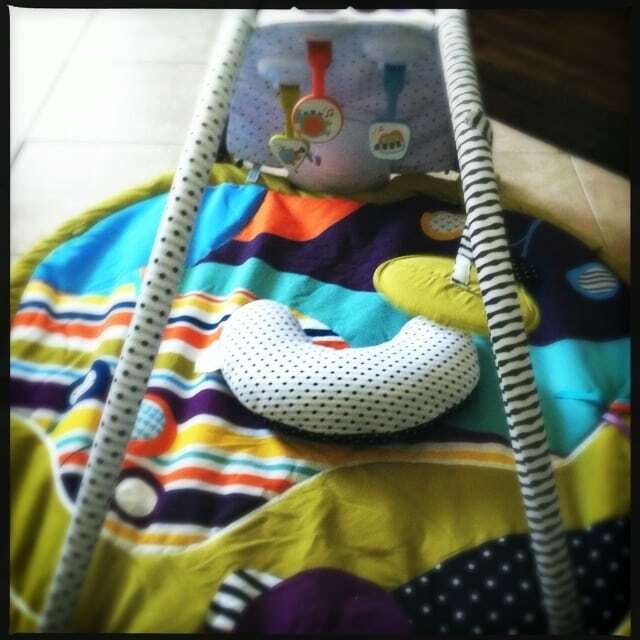 Hidden textures squeakers sounds peek a boo mirror and crinkle fabric around the playmat for baby to discover. Age suitability: 0 months+ interactive playmat and gym, 6 months+ use with tummy time cushion to explore around the playmat, 9 months+ detach toy arch and use as a floor mat for baby to play. For more information – visit Mamas and Papas.